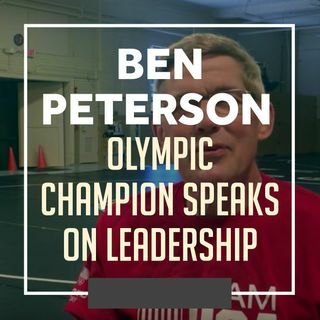 Olympic champion Ben Peterson and World Wrestling Resource co-founder Jon McGovern join host Jason Bryant on the latest edition of the World Wrestling Resource Podcast to break down Peterson's vision of leadership. Peterson talks about his background in what he believes makes good leaders and how he's presented his leadership speech over the years around the world. The World Wrestling Resource has a slew of resources for wrestlers and coaches from all levels and information about ... See More the products can be found at www.worldwrestlingresource.com. Do you have a question or a topic you'd like to hear the World Wrestling Resource staff discuss? Drop us a comment on Facebook at www.facebook.com/worldwrestlingresource or on twitter at @WWRESO. The World Wrestling Resource is sponsored by DefenseSoap. The World Wrestling Resource Podcast is a presentation of the Mat Talk Podcast Network. JOIN THE TEAM And if you're a fan of the extensive and broad-based reach of the shows on the Mat Talk Podcast Network, become a TEAM MEMBER today. There are various levels of perks for the different levels of team membership. If you like wrestling content -- scratch that -- if you LOVE great wrestling content, consider becoming a team member. You'll get some cool stuff too. SUBSCRIBE TO THE WWR PODCAST Apple Podcasts | Stitcher | Spreaker | iHeartRadio | TuneIn | Spotify | Google Play Music | RSS JOIN THE TEAM And if you're a fan of the extensive and broad-based reach of the shows on the Mat Talk Podcast Network, become a TEAM MEMBER today. There are various levels of perks for the different levels of team membership. If you like wrestling content -- scratch that -- if you LOVE great wrestling content, consider becoming a team member. You'll get some cool stuff too.